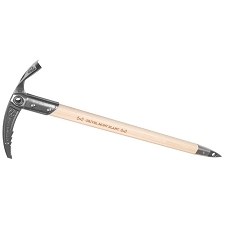 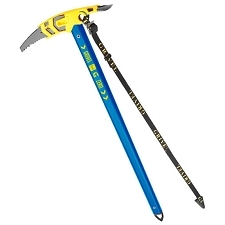 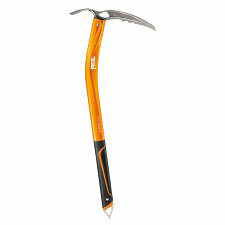 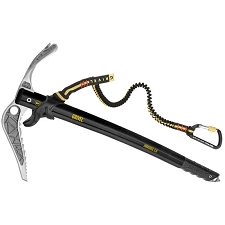 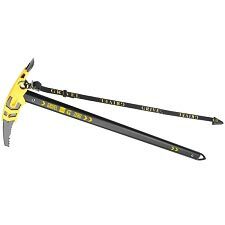 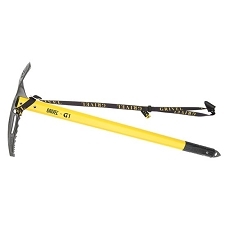 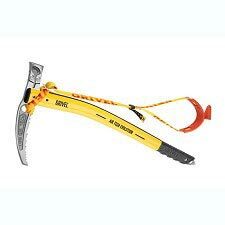 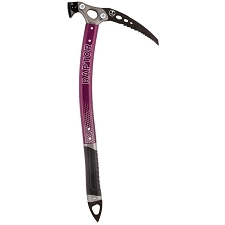 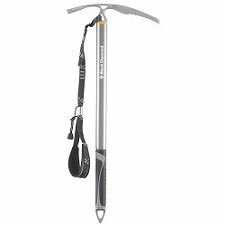 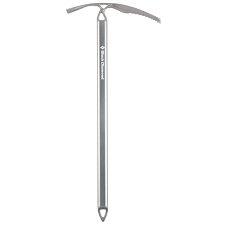 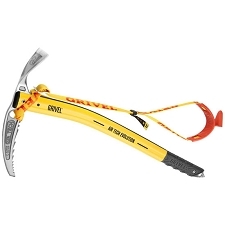 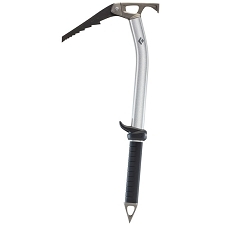 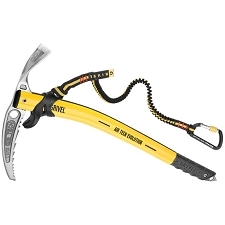 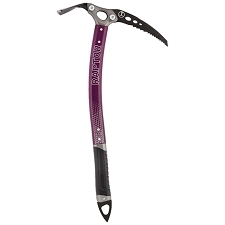 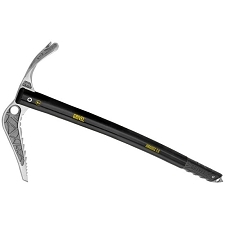 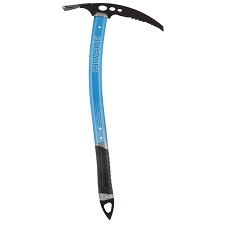 The Ice−axe Wizard from Singing Rock is designed as a safety and progression tool for traditional alpine mountaineering. 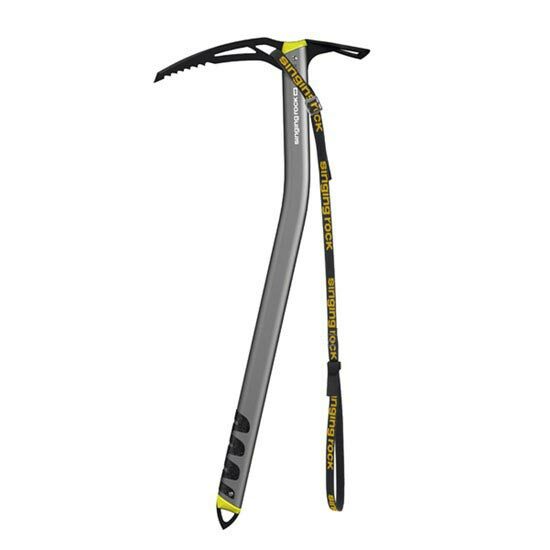 It is constructed with high quality 7075 aluminum alloy, providing you with a reduced weight without giving up any strength. 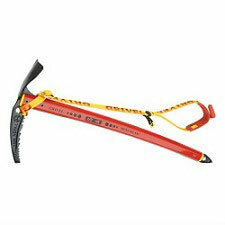 Its curved design facilitates easy handling and provides a more technical use. 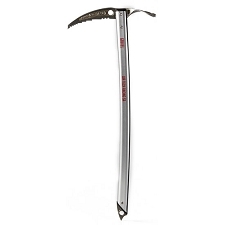 Can perform better traction when nailing the blade on the ice. 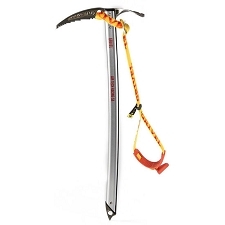 It incorporates a sheet of highly resistant chrome steel making it light in weight and holes to be able to use a carabiner for carrying out a maneuver. 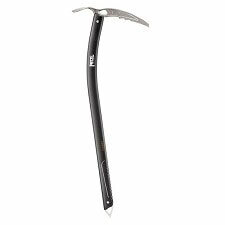 At the bottom it has a non−slip grip that will allow you to grab the ax tightly and steel ferrule to puncture more easily in snow or ice.